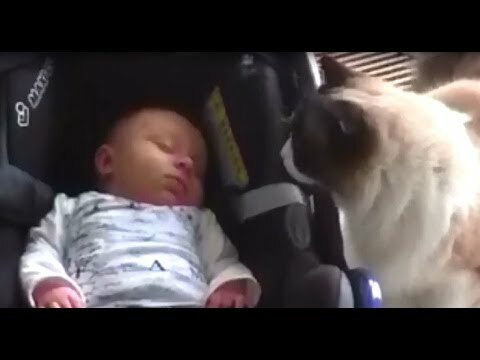 Timo the Ragdoll Cat meets a friend’s newborn baby. His reaction? Curious as always. Hairless kitten lost at airport is found!